Send light and joy to any home or office by sending the Autumn Artisanal Floral Arrangement! 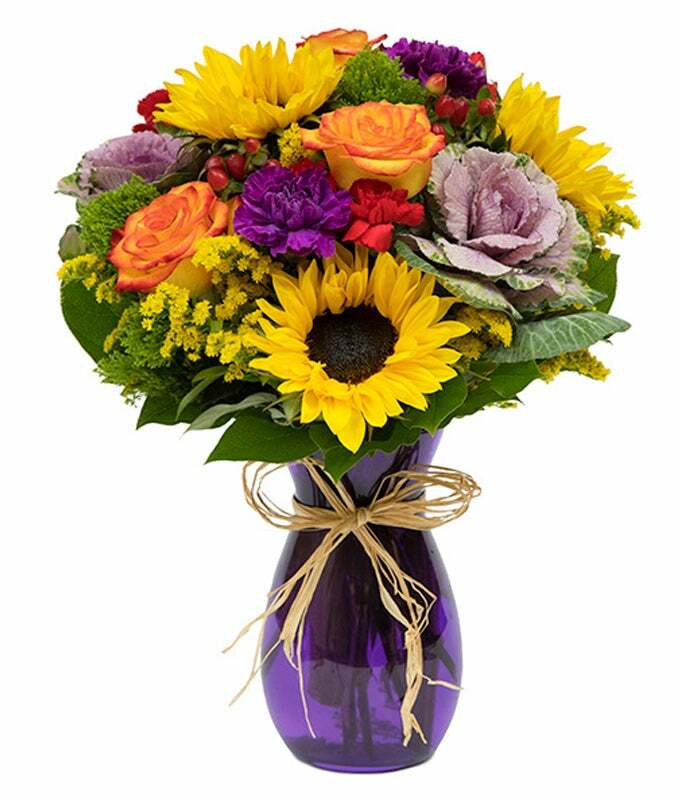 Sunflowers are the star of this special bouquet, are are complimented by the finest purples, oranges and reds. Send today!